Beer Central is one of Sheffield’s many hidden gems and it’s one you’ll want to find if you’re after unique and great tasting craft beers and real ales in the heart of the city. A pipe dream of co-owner Sean Clarke’s, all 3m² of Beer Central has found its home in The Moor. Instead of trekking to the bottle shop and bar House of Trembling Madness in York for his beer fix, it was as if the stars had aligned for Sean when he and his wife Deborah finally plucked up the courage to open up their own place. After initial research, Sean and Deborah were led to The Moor Market and in November 2013 (on The Moor’s inaugural day), Beer Central was born. Almost immediately, people started buzzing around the concept and thanks to the power of social media, response to the new business was extremely positive. “Four and a half years have flown by. Since the first four weeks it’s been a massive learning curve, which got us to grow up quick and realise that we could be confident in what we were doing. Initially I was ordering small amounts of things here and there – being cautious – but with a lot of hard work we got through it and have become extremely popular with beer lovers. 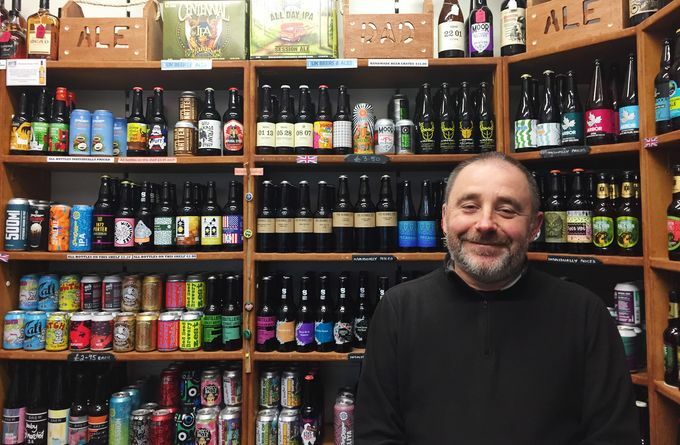 Sourcing the UK and the world’s very best in craft and real ale beers in a bustling covered market, Beer Central is fortunate to be able to source and sell such rare and sought-after beers. Its customers are extremely committed to drinking the very best of the brown stuff, and aren’t at all phased by the small yet perfectly-formed appearance of the shop. 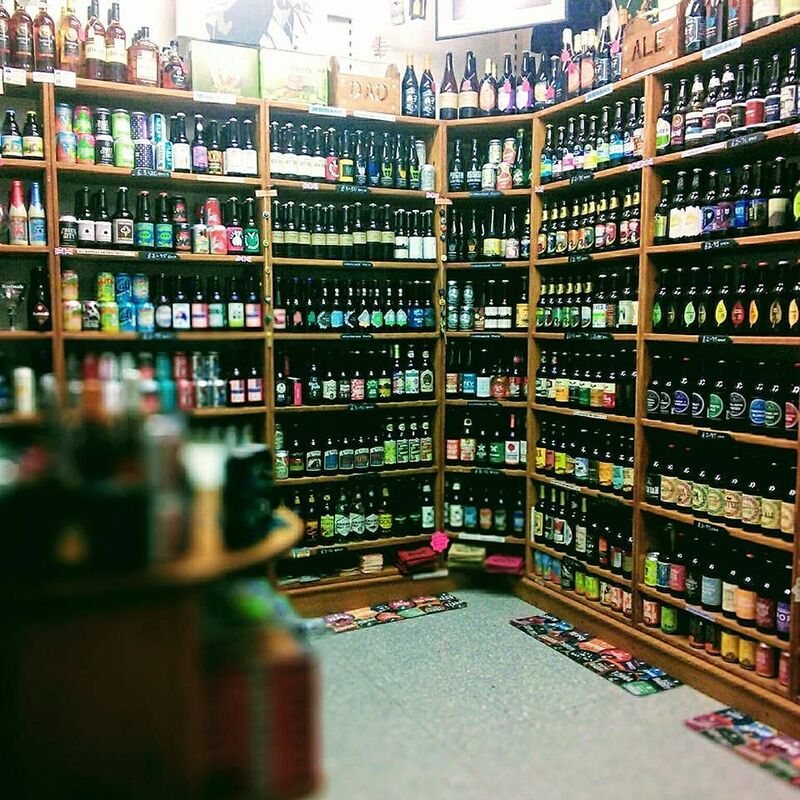 With a broad selection on offer, Beer Central offers a nice break-up of real ales and perhaps more traditional styles, as well as some more modern craft beers from some of the best brewers in the UK and the world. You’ll see young brands like Cloudwater and Omnipollo alongside local favourites like Kelham Island and Bradfield. With cider and a range of mead (honey wine) on offer too, beers start from upwards of £2, right up to some extremely rare finds costing £18-plus! With primary focus understandably on the range and quality of beer on offer at the shop, Sean isn’t too price-conscious. Getting the best beers available and selling to those who are willing to pay that little bit extra is what Beer Central values. If customers are wanting better value or deals, Sean and his team are more than happy to direct them elsewhere. 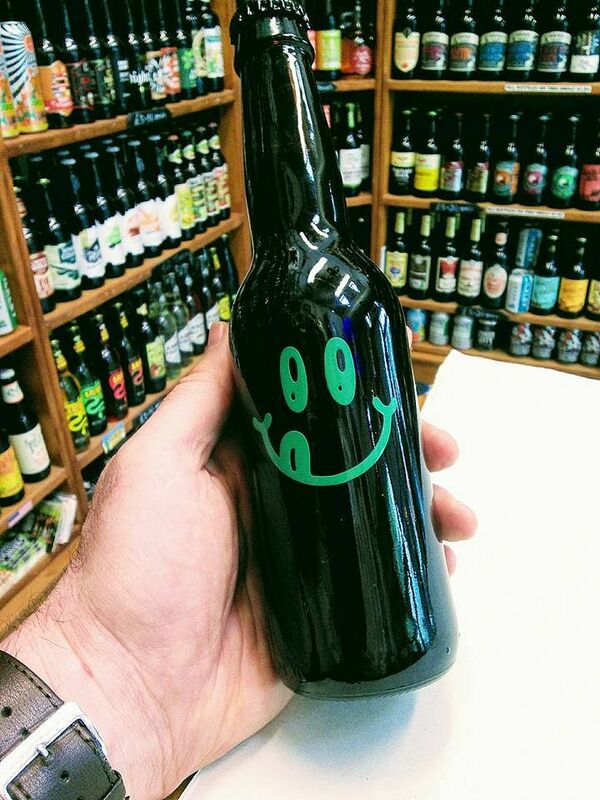 Sean’s favourite beer of all time is Omnipollo’s iconic Noah Pecan Mud. The bright smiley face is easily spotted on a shelf full of busy labels and is famous in craft beer circles. The Swedish brewer is an 11% dark stout, with notes of chocolate, pecan nuts and brownie – a sweet pudding beer to complete the evening with. “Context is important for enjoying different beers. Drinking things in the right places at the right time definitely helps. With a monthly bottle share at various locations across the city, the next is hotly anticipated. Be sure to follow Beer Central on Twitter, Facebook and Instagram to be among the first to hear about upcoming events, as well as the fresh new beers in stock – not forgetting their late summer brew, which will be announced online soon. Keep your eyes peeled! As owners Sean and Deborah don’t live in Sheffield, most of their time its spent commuting. If they’re sticking around in the city after shutting up shop at 5:30pm, they’re heading down to The Rutland pub, Beer Engine or Sentinel – for market research, of course! Beer Central is #AliveAfter5 and open ‘til 5:30pm Monday to Saturday.